There's little on four wheels as fun as a track-day special – but which lightweight comes out best in our top 10? It is in this class of car that you will find power-to-weight ratios matching those of a Bugatti Veyron. With such delicacy, precision, involvement and explosive performance, you might be tempted to call these the ‘dream machines’, and yet dreaming isn’t always necessary as the buy-in can be more affordable than you’d expect. These are the lightweights. How does a car with barely a trace of luxury or refinement in its DNA gain a five-star road-test rating? The answer, of course, is by purveying greater enjoyment than arguably anything else on four wheels. On road, track or – best of all – loose ground, the Nomad is sensational not only in its technical prowess but the manner in which it doles out its stonking performance. There’s also decent ride quality here to match impeccable body control, and what little there is of the Nomad is beautifully constructed. For the money – and perhaps more much, much more – there’s nothing to touch it if your priority is pure driving pleasure. "It is impossible not to smile when you get behind the wheel." So said our road test verdict of the 3 Wheeler, which doesn’t care much for outright performance but instead entices with beautifully linear steering, a terrifically responsive V-twin engine that makes a leisurely 82bhp and a healthy 103lb ft, and handling that’s just lovely. And who couldn’t fall for the car’s unique, quirky and oh-so-British aesthetic? Caveats? Well, dirt and spray can get into the boot, the tonneau isn’t standard and you won’t thank the enormous turning circle if ever you’re in a tight spot. 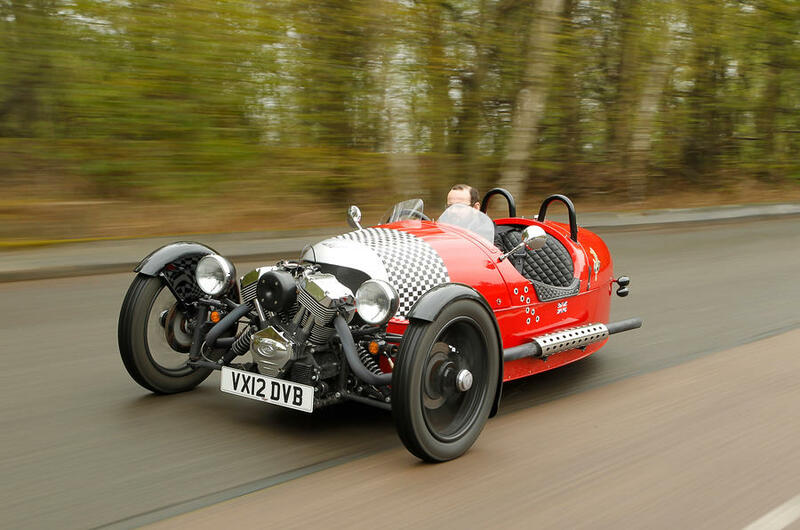 Is the 3 Wheeler worth the hassle? Of course it’s worth the hassle. 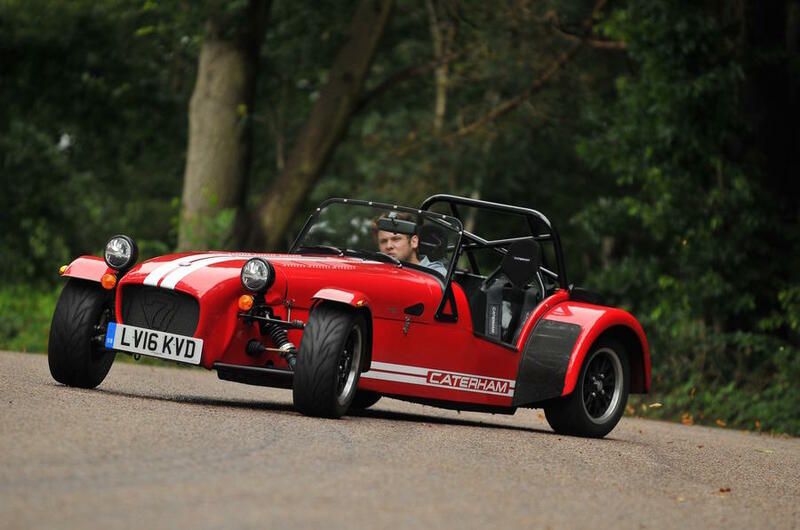 The 310R hits a sweet spot in Caterham’s amended range of Sevens – one brought about by fitting high-performance camshafts and revised electronic mapping to the 1.6-litre Ford engine in the 270. The resulting 152bhp is all you really need in a car that weighs 540kg, and fabulously communicative steering allows the driver to work this tiny but wonderfully composed chassis. 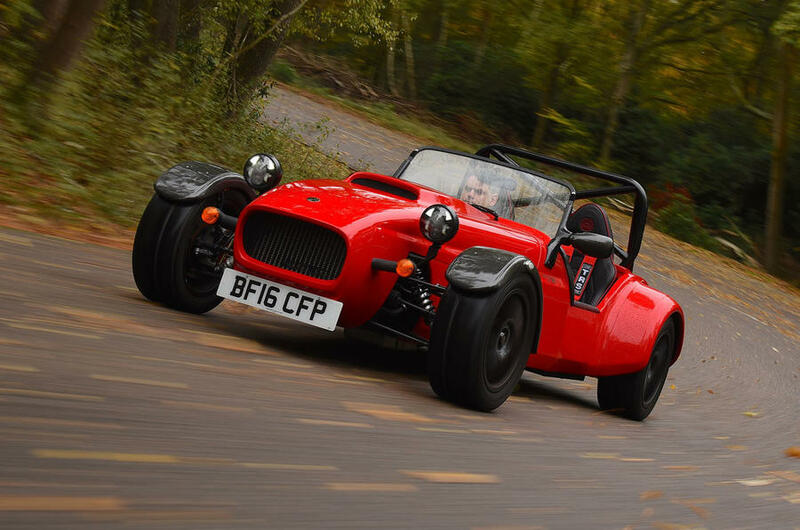 There are more expensive, quicker versions of the Seven and, equally, you could buy one of the current (and superb) crop of hot hatches for the money Caterham asks for the 310R. But when it comes to balancing thrills, involvement and affordability, there is arguably nothing that can match it. Start with a carbonfibre tub. From it hang double-wishbone suspension with in-board spring-and-damper units at the front axle. Mount a Ford Ecoboost engine behind the passenger cell and have it drive the rear wheels through a six-speed Hewland gearbox. 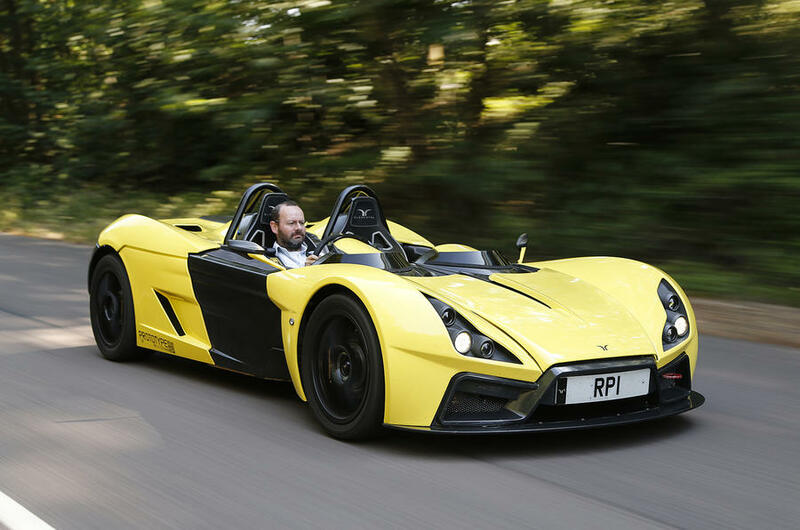 What you now have is the British-built Elemental RP1: a 580kg road-racer with 320bhp and 200kg of downforce at only 100mph. But really, who needs a passenger? Especially when the alternative proposition feels straight off a formula grid and offers a driving position that brings new meaning to the word ‘pure’. The BAC boasts a similar architecture to the Elemental, with double-wishbone suspension, a mid-mounted 2.5-litre Ford engine and a six-speed sequential gearbox driving the rear wheels, but the car’s single-seater origins up the wattage of the driving experience. The economy of movement required to cover ground at astonishing pace truly is spellbinding, although the Mono better still on the track, when its ultra-precise suspension can operate without hindrance from road imperfections. It’s as intense an experience as they come, and stunningly wrought with plenty of carbonfibre. 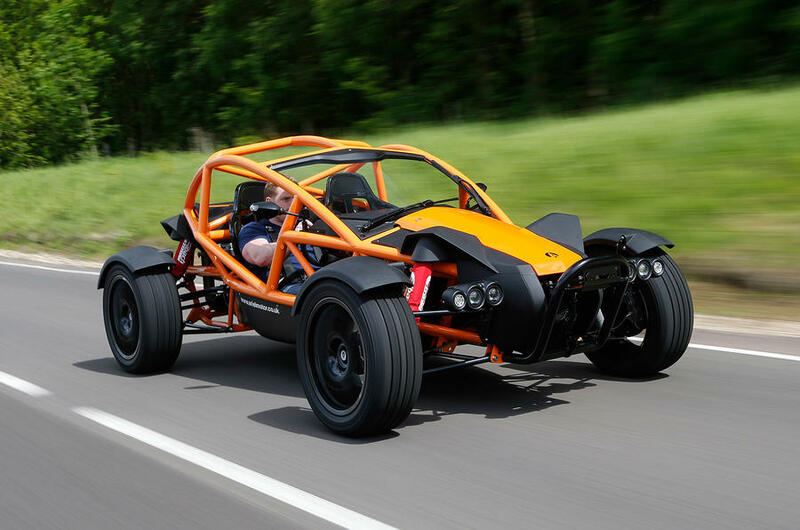 Though you might not recognise it at first, Somerset-based Ariel has updated the Atom for 2018. And how. In fact, this tubular-framed rocket has benefited from ground-up changes to the suspension hardware and geometry, chassis dimensions, wheels and engine. The last of those now comes from Honda, being the same turbocharged 316bhp unit found in the Civic Type R. In fact, only the brake and clutch pedals, and the fuel cap, are carried over from the old Atom 3.5. The results are extraordinary: 60mph in 2.8sec and on to 100mph exactly four seconds later. But it’s the attention to detail that hooks you into the experience. The positioning, weight and response characteristics of the control are just so, and the Atom somehow filters out the distracting elements of the road beneath you and only sends you pure, immediate messages. Just don’t forget your helmet. If it is authenticity you crave, then names don’t come more ‘motorsport’ than that of Italian outfit Dallara. The firm’s chassis expertise can be found in Formula 1, IndyCar and Formula E as well as a host of other high-profile series, and it’s that expertise that has been distilled into road-going form with the pretty Stradale. What we’re dealing with is a screen-less barchetta with a 395bhp Ford (yes, again) 2.3-litre Ecoboost engine driving the rear wheels through a six-speed manual gearbox. Dry weight? 855kg. Maximum downforce? 810kg, with the huge rear wing in place. Yes, this is a ferociously serious machine and one with superlative unassisted steering and a chassis that’s arrow-true. Brakes could be better and the engine more stirring for the money, but the Stradale is brilliant nonetheless. Let’s talk about the 3-Eleven ‘430’. It’s the ultimate road-going version of this track-day special from Lotus, with 430bhp from a 7000rpm 3.5-litre supercharged Toyota V6 and a rear wing mounted 50mm higher than on the ‘standard’ car. In the name of purity, there are no doors (well, not that open, at any rate), Michelin’s sticky, semi-slick Cup 2 tyres at each corner, no stability control and a manual gearbox. It’s a case of supreme pace meets trademark Hethel precision, with a surprising dose of playfulness thrown in. In a sentence? "There will be times when you curse it, but there will also be times when you won’t want to be driving any other road car than a Lotus 3-Eleven 430." Black Country outfit Westfield might have successfully diversified into autonomous mobility pods, but the core offering since 1982 has been lightweight sports cars you can build yourself. And the hook? Supercar performance for a price that even Caterham can’t touch. That’s the case with the new Sport 250, which uses a 2.0-litre Ford Ecoboost engine tuned to 247bhp – in a car weighing just 670kg. In fact, this is a proper humdinger of an engine that goes a long way to making up for a slight imprecision in the chassis (though the set-up is eminently tuneable) and an all-round lack of finesse. It’s not for the faint of heart, the Sport 250, but it gets your heart pounding for the right reasons – most of the time. Another Ford Ecoboost engine? That’s right, but with so much power in a light, compact and affordable package, that’s no surprise. 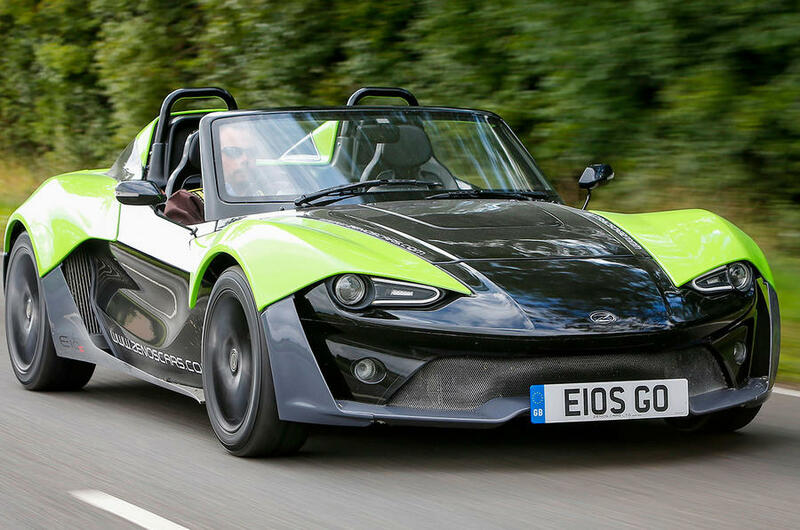 It’s that last attribute that really counts here, because the Zenos can be had for just £27,000, which is peanuts for a car of such singular focus and execution. Materials quality is quite a match for some of the cars on this list, but there’s a real maturity to the dynamics of the Zenos and, as for the real-world pace, it wants for very little indeed. Lacking a little in character but massively rewarding to get stuck into on the right road.